HYM Investment Group’s Thomas O’Brien opens up about the communities of tomorrow and the $1.5 billion project that brings daylight to the city’s Congress Street for the first time in 50 years. Boston’s growth has prompted investors to focus on complex mixed-use projects that will serve the city of tomorrow. This means transit-oriented, connected and inclusive communities. One of these projects is Bulfinch Crossing, the $1.5 billion, six-building development that is replacing the Government Center Garage, the product of a partnership between National Real Estate Advisors and The HYM Investment Group. Thomas O’Brien, founding partner & managing director of The HYM Investment Group, talked to Commercial Property Executive about the development and Boston’s transformation. 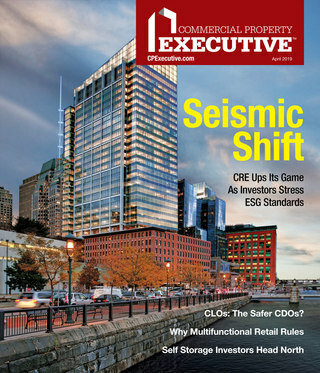 CPE: You are involved in several high-profile developments that are bound to change the face of Boston. How do you think the communities of tomorrow will look like? What will developers focus on next? Thomas O’Brien: The most important thing that developers will focus on in Boston is the continuing need to add residential units throughout the city. The job growth that Boston has experienced and the continuing population growth have both been good things for Boston, but the side effect is that housing costs have gone way up. That creates both a need as well as an opportunity for us to develop new housing. The biggest question we face when thinking about the community of tomorrow has to do with infrastructure and development of large transportation projects. We went through a period in the 1970s, ’80s and then into the ’90s when there was a significant amount of public dollars invested in major transportation projects: the improvements of the Red, Orange and Silver Line along with the Big Dig project to create the new Central Artery. All of these were major, multi-million dollar projects. In order to create the successful communities of tomorrow, there is a big need for the next generation of infrastructure development, which goes hand in hand with the development of more housing and mixed-use urban projects. CPE: What can you tell us about the Bulfinch Crossing project? What are the latest updates regarding this development? O’Brien: Bulfinch Crossing symbolizes a new era for Boston. For this project, we’re taking the old, underutilized brutalist structure of the 1960s urban renewal period Government Center Garage and reinventing it as part of a dynamic development that embodies what we want in the community of tomorrow: transportation-oriented, mixed-use and highly connected—a destination for all members of the community. The first building is a residential tower, and construction is already underway on the enabling phase, which involves beginning the demolition and re-ramping of the garage in order to enable the tower to rise. It will be a 480-foot-tall building, with over 480 residential units to be delivered in the summer of 2020. At the same time, we’re continuing to work on the next phases of Bulfinch Crossing and are moving forward with our plans for the five additional buildings totaling 23 million square feet to be built on this site and taking down 60 percent of the garage to “daylight” Congress Street for the first time in 50 years. We have already begun pre-leasing efforts of One Congress, the one-million-square-foot tower at Bulfinch Crossing. This Pelli Clarke Pelli tower that will be over 500 feet tall will not only be an iconic anchor to Bulfinch Crossing, but will also be a compelling addition to the Boston skyline. CPE: With this project, Boston strengthens a trend that has taken over the major markets in the U.S.—the rebirth of the urban core, particularly on the residential side. How do you see this trend unfolding in Boston? O’Brien: I have been watching this happen throughout my entire life—it’s amazing what has happened in Boston. There are so many ways the city has changed in this rebirth of the urban core—take the restaurant scene as an example. Years ago, the scene in Boston was limited to just two or three restaurants that Bostonians would go to. Today it has exploded and has buoyed other social and entertainment options in the theater and music industries. The food scene is a vital part of Bulfinch Crossing, where we are creating a new and exciting atmosphere in place of an ugly, hulking garage. Removing a portion of the garage will create new outdoor spaces for restaurants and a new pedestrian experience, which are in line with the trends we’re seeing in residential real estate. Combined, these spaces and an emphasis on the urban experience make Boston a more interesting place to live, whether we’re talking about young people looking to stay in the city after graduating from college or empty nesters who want to move back to a more walkable downtown neighborhood from the suburbs. The renewed interest in this urban core—and residential options as a result—also means we have an obligation to address transportation infrastructure. Cities like Boston need to continue to invest in and pay attention to everything that makes the city great, thinking about what makes a good restaurant scene or how to create a more walkable urban neighborhood. CPE: There have been several discussions on the multifamily market in major cities being close to oversupply. Do you think this is true? Would this apply to Boston? O’Brien: There have certainly been a lot of high-end rental units added to Boston in the last two years. Now, the city is in the process of absorbing those units. At the same time, the condo market is very much in need of supply, so there’s room to add to that number. When HYM considers the demand for rental units, we’re looking a little down the road at 2020, when our residential tower will be delivered and some of the projects currently underway will already be a few years old. We’re confident in our position in the marketplace, because at that time Bulfinch Crossing’s residential offering will be the best new building in Boston and we’re in a central and timeless location. CPE: Do you see the changing financial landscape (tax reform, higher interest rates, etc.) as a challenge for investors and developers? Why? What can be done to avoid the effects of these changes? O’Brien: Changes in the market are definitely a challenge. From where we sit today, more certainty and predictability from Washington, D.C., would lessen the challenge. While higher interest rates may be on the horizon, they continue to be really low, and we don’t see a huge amount of pressure to push them up drastically in the near future. Since we foresee that construction costs will keep going up and interest rates won’t be going any lower, we’re facing these changes by building as quickly as possible. 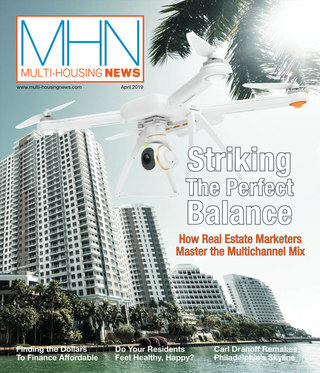 CPE: What are your predictions for the future in relation to the multifamily real estate industry? O’Brien: In Boston, we feel very positive about the future of the multifamily business. Our city has all of the ingredients for a healthy future in the industry. We have world-class colleges and universities, an incredible health care and hospital system and really strong fundamental employment drivers. As long as we continue to invest in key transportation, infrastructure needs and other factors that create a desirable urban living experience, we will be positioned to better take on any challenges or uncertainties in the market. Boston should find itself right in the center of the world’s growth as it continues to be a great city for multifamily real estate—for both the developers making these game-changing projects a reality and for residents looking for a modern, vibrant urban experience.